Dr. Ennio Cipani presents a function-based operant behavior classification system for training supervisees to conduct and write an FBA. "Material very clearly presented. methods covered represent a conceptual advance and improvement over FBA procedures commonly used in most education settings." "This webinar was wonderful. The content was presented in a very thorough way with the presenter going above and beyond to meet the needs of the attendees." With over 30 years of combined experience in the field of pediatric feeding disorders, Dr. Laura Seiverling, Psychologist and BCBA-D, and Elise Jusko, CCC-SLP, will draw from their own experiences working on a multidisciplinary feeding team together and will provide an overview of how cross-discipline collaboration between SLPs and BCBAs can look when it comes to both assessment and treatment of various pediatric feeding disorders. Useful for BCBAs, BCaBAs, and SLPs! Pediatric feeding problems are complex and often require a multi-disciplinary approach to assessment and treatment. The Behavioral InTEgrated with Speech approach, known as BITES®, focuses specifically on how Board Certified Behavior Analysts (BCBAs) and speech-language pathologists (SLPS) can work together to assess feeding problems and develop interventions for them. Premier BCBA, BCaBA, and RBT Exam Prep and Curriculum Supplements! 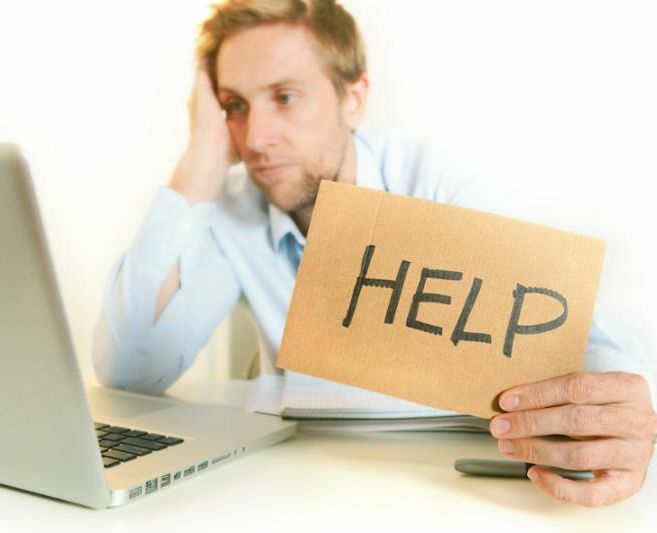 Are you burnt out from studying for the BCBA, BCaBA, or RBT exam using passive instructional resources (videos, flashcards, textbooks)? The CBA Learning Module Series and RBT Exam Prep courses use an active student responding (ASR) instructional design by providing copious multiple choice and fill in the blank questions with hints, references, immediate corrective feedback, and a variety of reports to monitor your progress. With our Pass Guarantee, learners who qualify can request a free extension or a full refund. Perfect to study for the upcoming May BCBA/BCaBA exam administrations. Averaging 80 hours of instructional time, our reduced priced 3 month subscription only costs the average learner $3.75 per hour! Premier curriculum supplement for 5th Edition Task List Verified Course Sequences. Provides students with ASR instructional exercises and program directors with comparative performance data. Study over 500 RBT learning exercise questions and 75 Pre-/Post-Test assessment questions at your own pace for just $1.09 per day with a 90 day subscription. Access immediately upon purchase. Get into one of these new books before Spring! Deliberate Coaching introduces the science of human behavior, or Applied Behavior Analysis (ABA). This powerful technique is based in scientific research on learning and performance, and works within any field to accelerate achievement and performance for all outcomes. CEOs of Fortune 500 companies have used it to realize fiscal growth and positive culture change, while school leaders have re-energized failing schools. Supplementing the best-selling textbook, Ethics for Behavior Analysts, this book analyzes over 50 original and up-to-date ethics cases recently faced by behavior analysts. The workbook provides "solutions" to each question written by the most expert professionals in the field using the Behavior Analyst Certification Board® Ethics Code. Jon S. Bailey and Mary R. Burch provide the necessary guided practice for both students and clinicians to improve ethical competency in behavior analysis. Evidence-based interventions benefit learners only when they are implemented fully. Yet many educators struggle with successful implementation. This unique book gives practitioners a research-based framework for working with PreK–12 educators to support the effective delivery of academic, behavioral, and social–emotional interventions. Widely recognized as a gold-standard resource, this authoritative book has been revised and expanded with 50% new material. 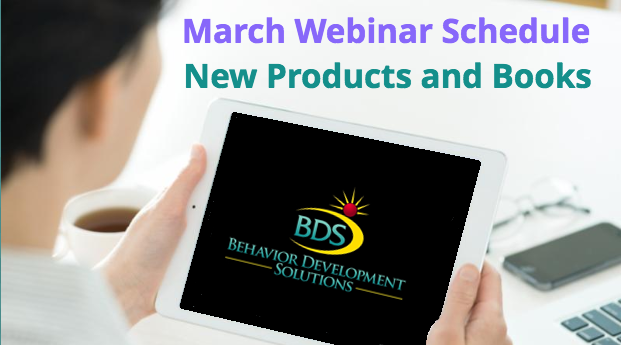 It also provides a complete introduction to functional behavioral assessment (FBA), complete with procedures, forms, and tools that have been piloted and refined in both general and special education settings. Interested in learning about Precision Teaching? 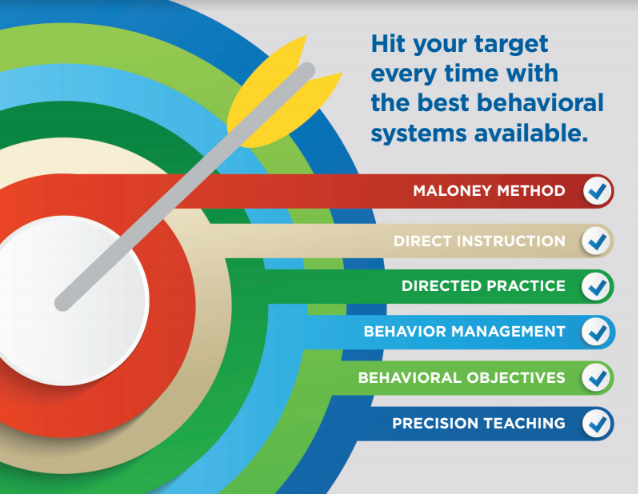 A Model for Education: Behavior Analysis, Direct Instructions, and Precision Teaching The "Maloney Method" uniquely incorporates the best educational strategies into an all-encompassing system. With 40 years of successful interventions for children and adults, the Maloney Method will help improve your planning, programming, and interventions leading to improved results. Offered through the University of West Florida. Questions? Contact aba@uwf.edu. Need to reach a Behavior Analyst? This announcement was sent to over 35,000 professionals and students! Get included in our monthly newsletters, released on the first week of each month; postings are then added to our Current Postings page.